This article was originally published on 12/22/16, but has since been updated with new and more relevant content. Sometimes we have to take a step back and work on our business ( and ourselves), instead of in our business. Once we remove ourselves from day to day bustle, our perspective grows, and we can see where we need to focus more of our time. Remember, 20 percent of what you do, gives you 80 percent of your results. Do more of the things that have the highest return on your time and goals. Say no to things that are not important. These are often small things that waste time. Check Twitter or Facebook five times a day? Hmmm. Just because you can do something, doesn't mean that you should do it. Create a To Don't List. Decide what gives the highest return for the energy you invest. Most people spend hundreds of hours a year doing things that don't show significant returns. As a motivational speaker, I travel a lot, and it can feel like wasted time. It's not optional, so now I use the time to squeeze the important things in during travel. Thus, I read, blog, write proposals and more. 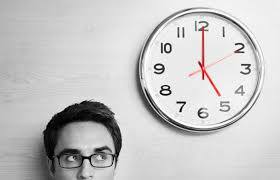 Are there ways you can make unproductive time more productive? Next, spend more time doing things that give you the highest return. Make a list of routine things you don't need to do anymore because they waste time. Are you busy . . . but not satisfied? Michelangelo said creating his stunning sculptures was not at all about building something great but instead a slow, deliberate process of taking things away. His labors of love involved chiselling away slowly at the superfluous debris to carve out the beauty that naturally existed below the surface. For most people, finding meaning in life requires the same chiselling away. Life is so fast paced and hurried that we all need to whittle away some of the distraction and debris that keep us busy, but not satisfied. At work, pockets of people grow restless because they are not feeling relevant. Their work doesn’t engage them. Busy yesterday, busy today and busy tomorrow are interchangeable. Eventually, the gap between our hopes and our reality widens until reluctant acceptance and disengagement set in. People wrapped up in busy lives who take the time to notice sometimes feel uneasy, wondering what all their activity adds up to. We spend most of our days doing things that demand our attention at the expense of projects that are important and add value to our lives. Schedule blocks of uninterrupted time to complete dreaded routine work that needs to be done but adds less value to your life; chip away at those mundane tasks and get them off your plate, allowing you time to focus on more meaningful projects. What would this approach liberate you from? What would it inspire you to do? It is important for all of us to guard those activities that add value to our work, those pursuits that excite and inspire us. They are the keepers of our creativity. While wrestling with a challenging task, hormone stress levels don't match the complexity of the actual task but, instead, the perceived difficulty. In other words, the way we perceive something matters more than the actual task itself. Inevitably there are things in our work we dread doing. However, our perception of the activity is often worse than it actually is. If we commit ourselves to jumping in and spending X amount of time on the dreaded duties in order to move on to the real game changers, our productivity in both arenas will improve with improved focus. It seems odd, but saying to yourself, “Boy I love quickly and efficiently filling out these compliance forms” may actually make you look forward to doing the arduous task. Science has proven that we can trick ourselves into liking what we hate. Worst case scenario, by carving out a time block to completing those forms, filing those papers, making those calls, paying those bills . . . whatever is dreaded . . . will give us the freedom to then focus our energy on that which feeds our souls, our families, and our futures. The routines we do at work are either offensive or defensive. Just as in sports, defensive actions defend our jobs, our teams, our rules and how we perform. This is usually the work of maintaining the status quo. Offensive roles require taking bold action, accepting risk, pushing forward and trying to advance the team. Most people spend the bulk of their time playing the defense. Look at your daily routines and carve out more time to play the offense, pushing forward meaningful, purposeful work. To really determine your value in the workplace, imagine that you didn't exist. Imagine the progress that would not occur if your job were not done. Now, look at what work roles constitute most of your job. Identify your priorities. Recognize your strengths. Next, eliminate (restructure, redistribute, reschedule) some of the roles or distractions that don't move your job forward.